Sunshine Apartments - Chichester House is an accommodation set in London, 2.5 km from Lord's Cricket Ground and 3.2 km from Portobello Road Market. Guests may enjoy free WiFi. The apartment features 2 bedrooms, a kitchen with a dishwasher, a washing machine, and 1 bathroom with free toiletries and a hair dryer. A flat-screen TV is provided. Madame Tussauds is 4 km from Sunshine Apartments - Chichester Ho, while London Zoo is 4.3 km away. London City Airport is 20 km from the property. 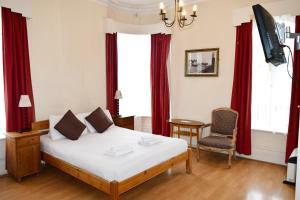 When would you like to stay at Sunshine Apartments - Chichester House ? Please inform Sunshine Apartments - Chichester House in advance of your expected arrival time. You can use the Special Requests box when booking, or contact the property directly with the contact details provided in your confirmation. Payment before arrival via bank transfer is required. The property will contact you after you book to provide instructions. This property will not accommodate hen, stag or similar parties.A damage deposit of GBP 200 is required. The host charges this 7 days before arrival. This will be collected by credit card. You should be reimbursed within 7 days of check-out. Your deposit will be refunded in full via credit card, subject to an inspection of the property. Each day we'll check prices and send you an email for your selected dates at Sunshine Apartments - Chichester House. If you don't have specific dates but would like to check prices for say next weekend or say next month we can check the price too. Click to write a review and share your experience of Sunshine Apartments - Chichester House with other travellers.